Stewart Regan said in July that Uefa president Michel Platini "listens and he's very innovative and creative"
The Scottish Football Association has confirmed that it will support Michel Platini in the election for the presidency of Fifa in February 2016. Current president Sepp Blatter is to stand down and Uefa president Platini is seen as a person who could overhaul world football's governing body. SFA chief executive Stewart Regan feels Platini is good for smaller nations. "He has ensured that every country, irrespective of size, has a voice," said Regan of Platini's Uefa work. "That is healthy for the game and if he is prepared to do that across the world, I'm sure he will be well received." 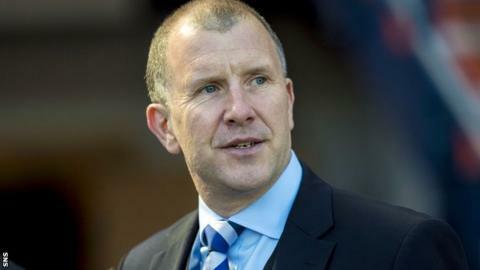 Scottish football's backing for the Uefa president comes as no surprise, since Regan said at the end of July that the Frenchman would be "a very good choice" to replace crisis-hit Blatter. The English Football Association has already given its backing to Platini.